Ben’s collaborative efforts have led him to work with radio producer Gretchen Miller on her Radio National documentary: The Ariadne Project and with award winning poet, Cecilia White on their “Breathing Space” series. He was also an artist at the inaugural Bendigo International Festival of Exploratory Music 2013 as well as developing the Argonauts Academy at the festival in 2014. 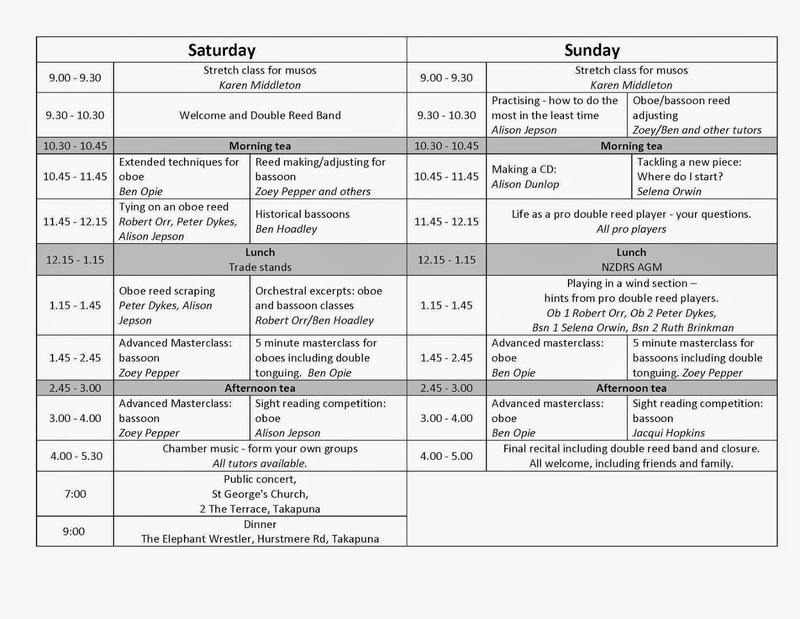 Ben is also co-artistic director of Inventi Ensemble, they have presented at Melbourne Children’s Week, Melbourne Knowledge Week and Melbourne Music Week 2014 among many others. This ensemble is dedicated to the development of new music and making music accessible to everyone. Ben has released his debut CD of French Sonatas with pianist, Peter de Jager and has been performing this repertoire around Australia including a sold out performance in Adelaide’s Elder Hall. Zoey Pepper is a graduate of the Australian National University's School of Music, with a Bachelor of Music in 2000 and a Master of Music Performance in 2008. Zoey spent her first 30 years in Canberra immersed in art, theatre, music, daydreaming, cooking and winter snow sports. She began her love-affair with the bassoon in high school and ultimately chose it as her study path, although the choice was closely contended by dreams of a career in visual art, singing or ski-instructing. Zoey was a member of the Australian Youth Orchestra the Canberra Youth Orchestra, and later a member of the Canberra Symphony Orchestra, with whom she held chair-sponsorship and also appeared as guest soloist. She also spent 5 years full-time as a bassoonist and singer in the illustrious Band of the Royal Military College. Zoey was a 2007 recipient of an ARTS ACT grant to commission a work by Australian composer Ian Blake for bassoon, voice and CD Entitled The River Daughter, the work tells a tale of transformation by the nymph Daphne into a tree and consists of a live bassoon part played over multi-layered tracks of haunting bassoon and Zoey's soprano voice. It was premiered in her Masters graduation recital in 2008. Zoey currently enjoys teaching the bassoon at various colleges in Melbourne and playing in a variety of Melbourne's best ensembles. She is also a Reservist with Army Band Melbourne. Membership in the ADF has allowed Zoey to reignite her serious love of alpine snow sports and downhill racing. In 2012 she competed in France with the ADF in the British Inter-services Alpine Championships. She was also the ADF Female Alpine Champion that year. Zoey featured as soloist performing Elgar's rarely performed, yet poignant Romance for Bassoon and Orchestra at Scotch College during their 2014 concert series. She also performed as encore her own arrangement, for bassoon and orchestra, of Grainger's fiery Arrival Platform Humlet. 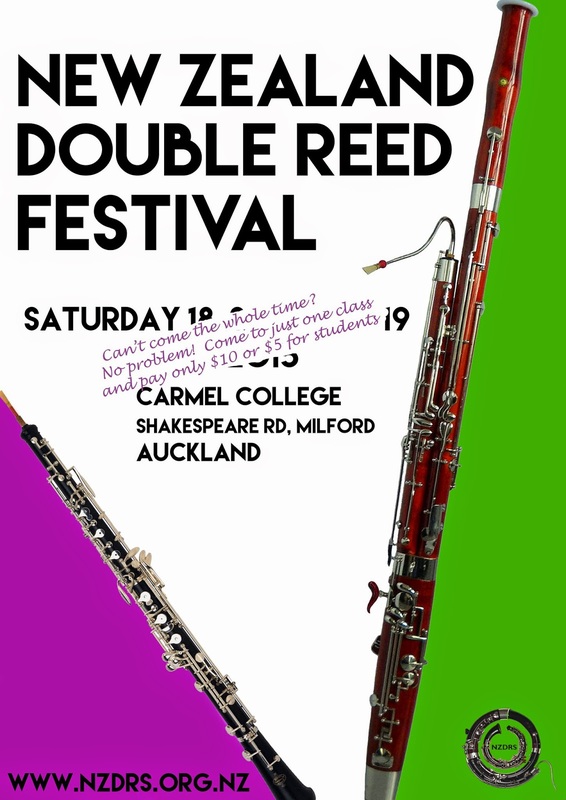 Zoey is delighted to be a guest at the 2015 Double Reed Festival along with Ben Opie, with whom she studied in Canberra years ago!